Visit us to taste new releases from our nearly 2,400 acres of vines planted in the Wahluke Slope, The Ancient Lakes of the Columbia Valley, and Columbia Valley appellations. Guided by more than twenty-five years of grape growing and winemaking experience, Mercer Estates aspires to create outstanding wines that exceed your expectations. 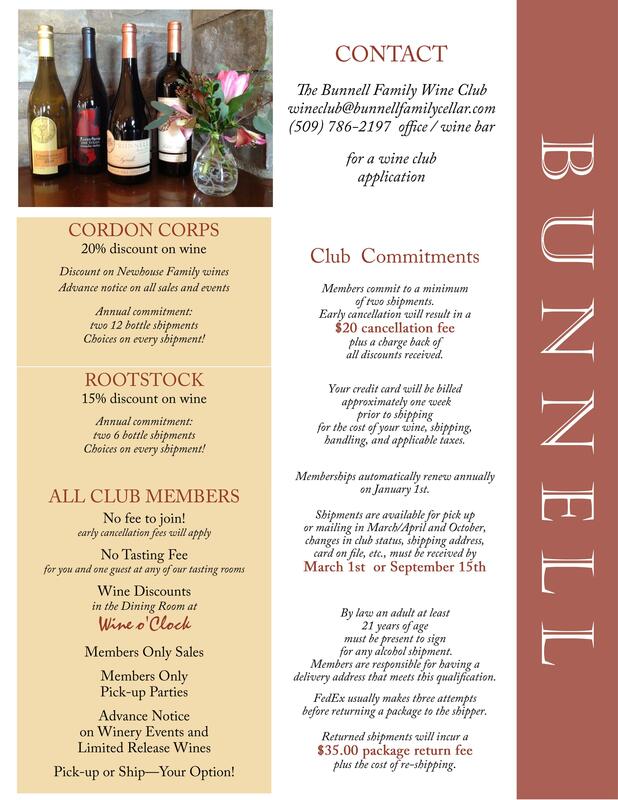 Bunnell Family Cellar offers the wine consumer the finest representation of small lot production wines focused on the Rhone varietals and blends. There is plenty of room for everyone… sip a glass of wine on the deck or if you need to take a break from everything, take a walk through the farm and see for yourself the wonders of country living. Clear varietal character with pure fruit aromas and flavors is the viticultural and winemaking focus of these wines. This fruit-forward character is the defining quality of wines from the Columbia Valley in Washington State. Hinzerling Winery is the oldest family owned and operated winery in Yakima Valley. We opened the Vintner's Inn at Hinzerling Winery a small country inn dedicated to the enjoyment of Yakima Valley food, wines and microbrews. Chinook Wines has been a cornerstone of the Prosser wine community. Through consistency and a focus on quality, Chinook Wines has become synonymous with a limited amount of highly acclaimed. Our mission is to offer world-class hand crafted wines, and make the Prosser Vineyard & Winery one of your favorite retreats and experience you will treasure. Pontin del Roza is a thriving estate winery with over 100 acres of 10 varietals including: Riesling, Malbec, Syrah, Dolcetto, Sangiovese, Cabernet Sauvignon, Carménère and Petit Verdot.